Gamification: Are your marketing dollars being wasted on a one-trick pony? Gamification is increasingly becoming one of the tactics that companies such as Nike and Coca-Cola apply in their marketing strategies, in a bid to incorporate an element of fun and build an emotional connection with consumers. Today, the global gamification market is expected to reach US$22,913 million by 2022, growing from US$960.5 million in 2014, according to market research and consulting firm P&S Market Research. 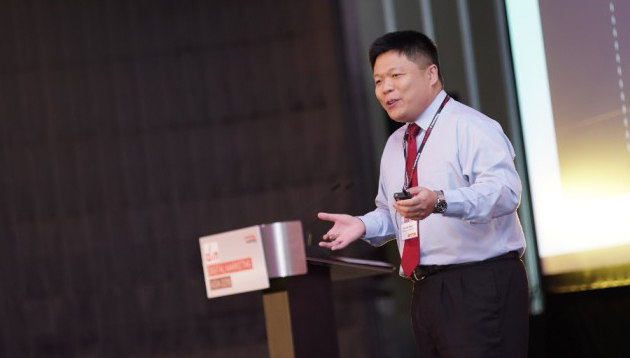 During the recent Digital Marketing Asia 2018 conference organised by A+M, Aizuddin Danian bin Izham Cheong (pictured), head of digital banking at Standard Chartered Bank Malaysia, said while it might be the cool kid on the block, when employing new technology, scalability and reusability is important. He added that there are four key elements of gamification. These are winning, losing, scoring and competition. As long as these elements are incorporated into a campaign, companies will still be able to gamify it and achieve results. Keeping these components in mind, earlier this year Standard Chartered launched its “Shake and Win” campaign, which allowed consumers to earn a chance of winning daily prizes and cashback for every RM100 spent on their credit cards. Rather than making it a one-off mobile campaign, Aizuddin said the company will be repackaging the game elements and relaunching the campaign for different occasions in the near future. “Do something that is easy and reusable. In this case, we might rename the campaign to ‘Shake the Christmas tree’ or ‘Jingle the ketupat’,” he said. Besides having a game that can be relaunched for different purposes, marketers should also bear in mind that consumers seek instant gratification. As such, the game needs to offer notifications in real-time. If you can’t capture consumers’ attention within the first few seconds [of your game], you lose. The concept behind “Shake and Win”, Aizuddin said, was to make it appeal to all consumers regardless of gender, and ensure it was easy enough for them to participate. While this is an effective approach for companies to take, Aizuddin acknowledges that male and female consumers in general do prefer different types of games. As such, companies that are looking to gamify a campaign for a specific gender or segment should first understand their target audience. “Game investments are not cheap and they do take a lot of effort. Hence, it is important to do your homework first,” he said. For Standard Chartered, the bank achieved its two main goals through the “Shake and Win” campaign – increase in credit card usage and consumer loyalty. “Consumers have multiple credit cards nowadays and we wanted to ensure that they always pulled out Standard Chartered’s card when making purchases,” Aizuddin said. According to him, the campaign brought about a 12% increase in year-on-year transactions, and an 8% increase in yearly spend. As there was no limit in the number of attempts, consumers naturally spent more in order to increase their chances of playing the game to win. It’s not just the game itself, but also the data that you collect from consumers which makes the game very useful. A main reason why the data was gathered in-house was due to security concerns. Standard Chartered wanted to ensure that information such as the type of transactions its consumers made and how much they won, were kept confidential. It was also a cost efficient way for them to carry out the “Shake and Win” campaign. Marking the company's foray into e-commerce, online media and publishing firm Catcha Media has acquired Haute Groupe, the operator..
To celebrate the 11th anniversary of the prohibition of unjustified differential treatments based on sexual orientation in Hong Ko..
More celebrities call out the brand for featuring an image of a black child in a green hoodie with the words "Coolest Monkey in th..